Hold on to your heartstrings, everyone! The holidays are here and full of mirth, merriment, and music. 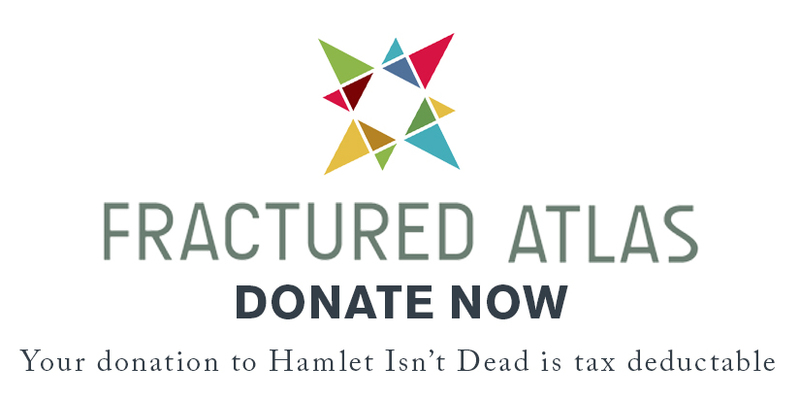 Hamlet Isn't Dead's thirteenth mainstage production, The Merchant of Venice, will feature live music, tearful struggle, and joyful passion. Some consider Merchant a "problem play", but we like to think of it as an opportunity to explore a frighteningly relevant story from our modern sensibilities. One thing we can guarantee is that this will be different from any Merchant you've seen before! Below are the eleven actors who will take your breath away this December. Let's check 'em out! That's the whole crew. And, as you'll notice, some of *these actors are appearing courtesy of Actors' Equity Association. That's right, it's our first "Equity approved showcase", and we couldn't be more thrilled to bring you such a rollicking romantic romp this winter. Stay tuned here for more HIDiotic updates, and we'll see you soon! Tickets are already available HERE: http://HIDMoV.bpt.me. Get them while you can!